Today, as part of a Blog Tour organized by Great Escapes Virtual Book Tours, I am happy to introduce you to a new cozy mystery – Decanting a Murder by Nadine Nettman. When all the evidence points to Katie’s best friend, the outspoken and independent Tessa, Katie drops everything to clear Tessa’s name. Using her deductive wine skills, she tries to track down the real killer. But when repeated attempts are made on her life, Katie discovers that everyone’s secrets must be uncorked―including her own. I liked Katie. Katie is extremely loyal and takes what some might see as extreme steps to prove Tessa’s innocence and uncover the killer. As Katie tells the story, her love of wine shines through, with a generous amount of information on wine making and tasting sprinkled throughout as the mystery unfolds. The plot included a few red herrings and twists, keeping the suspect list broad until the pieces fell together. 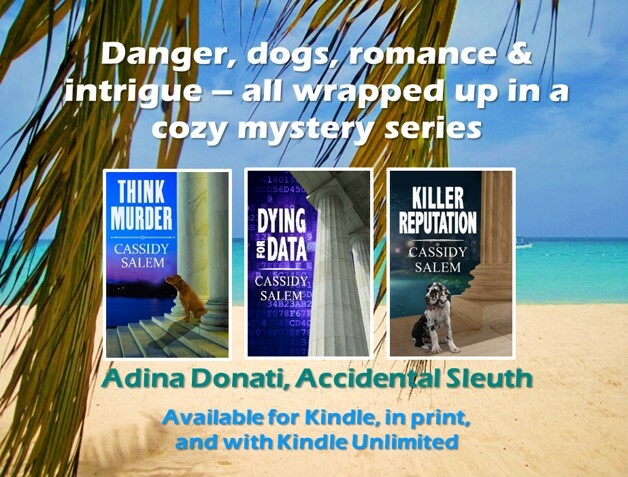 All in all, an enjoyable cozy mystery. Click here to enter a Rafflecopter giveaway for a chance to win a print copy of Decanting a Murder. Can’t wait to read. Wine and a sommelier sounds like an interesting storyline.